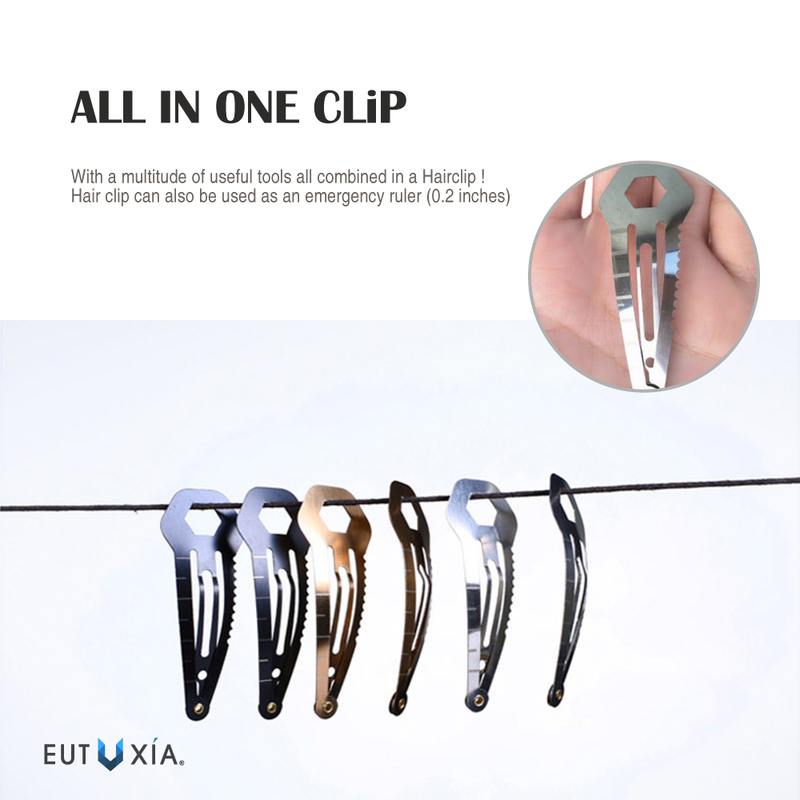 AccessoryGeek.com | Universal Stainless Steel Multi-Function 8 in 1 Tool Spring Clip | Free Shipping! Universal Stainless Steel Multi-Function 8 in 1 Tool Spring Clip Pin This Universal Stainless Steel Pin includes 8 functions. Trolly coin, 8mm (5/16) wrench, 3 Screwdrivers(Flat phillips screwdriver, Small screwdriver, Large screwdriver), Ruler, Cutter. It's a tactical everyday carry (EDC) 8-in-1 multitool that will come in handy for emergency situations. 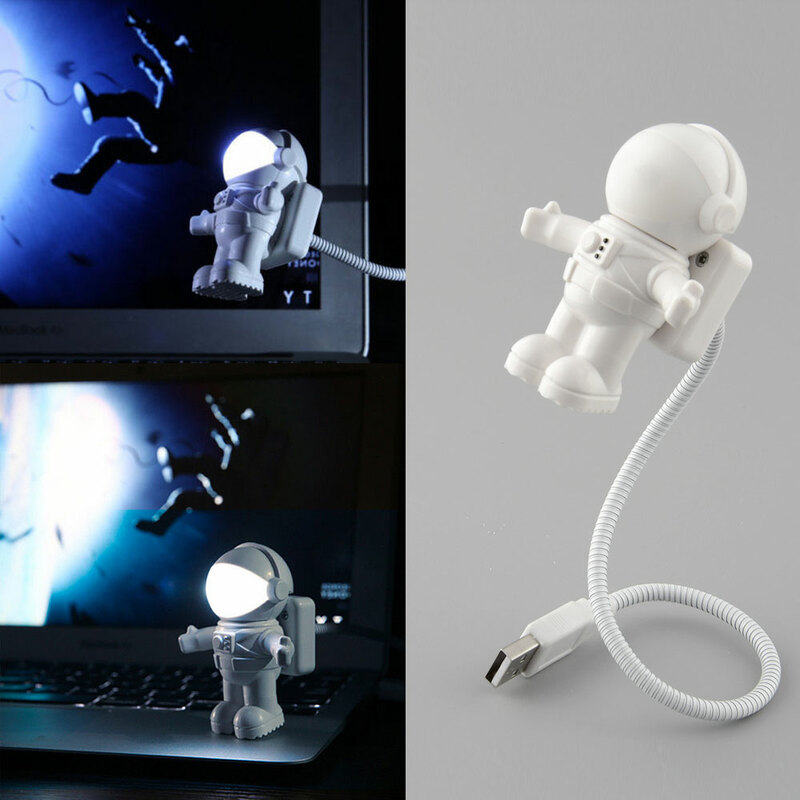 It may be very small, but it's multifunctional! 8-in-1 tool includes flat head screwdriver, small screw driver, large screwdriver, ruler, cutter, 8mm wrench, trolley coin, and hair clip. All in one tool is great for emergency occasions! Carry the mini tool with you everywhere, you never know when you'll need it! 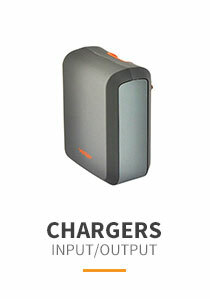 It's ideal for traveling, camping, DIYs, and any daily tasks. 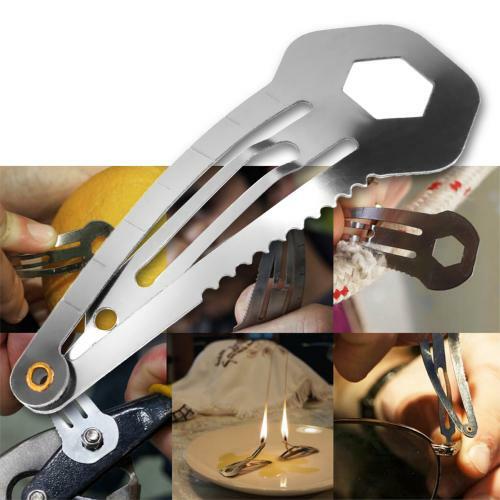 Made of high quality stainless steel material, the multitool is durable and rust-resistant. The mini multitool is 2.2 x 0.78 inch. It's conveniently portable. It's like having a mini toolbox on your hair or in your pocket. 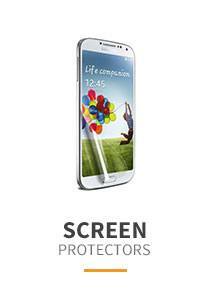 This Universal Stainless Steel Pin includes 8 functions. Trolly coin, 8mm (5/16) wrench, 3 Screwdrivers(Flat phillips screwdriver, Small screwdriver, Large screwdriver), Ruler, Cutter. 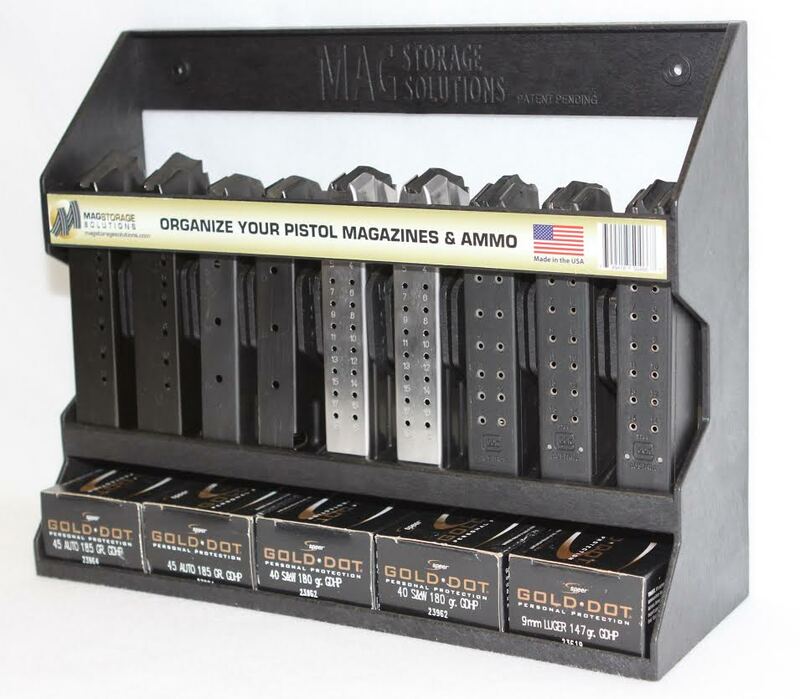 [Magstorage Solutions] MSSPMH, Pistol Magazine Holder - Organize Your Pistol Magazines & Ammo! RED SHIELD Bluetooth Camera Shutter Button for Smartphones and Tablets. 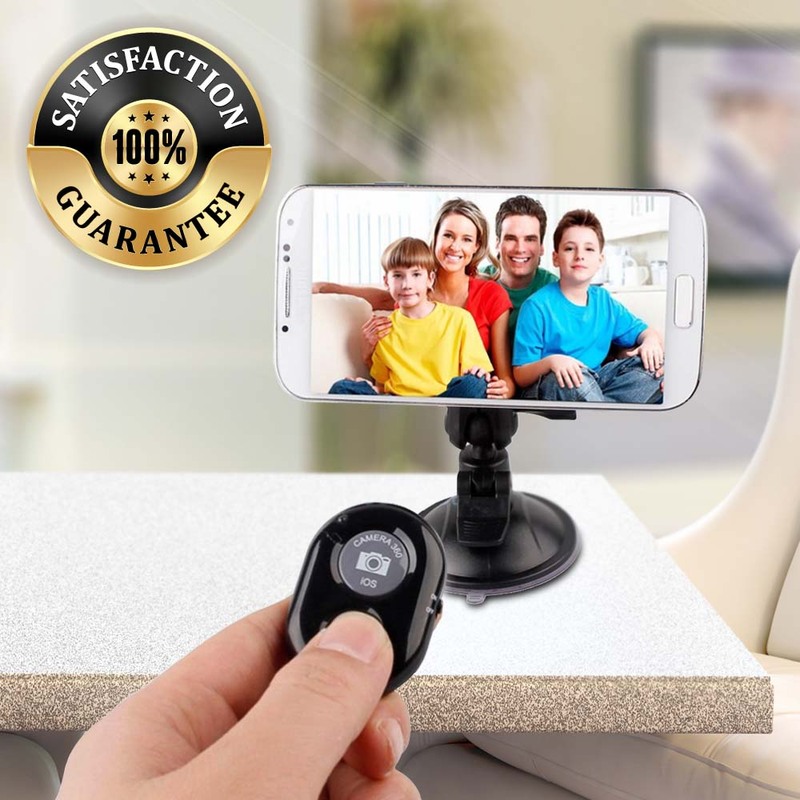 Take Perfect Selfies & Photos with Universal Wireless Remote Control. Android and iOS Compatible. 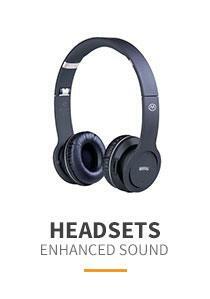 Easy to Pair, Setup, and Use. 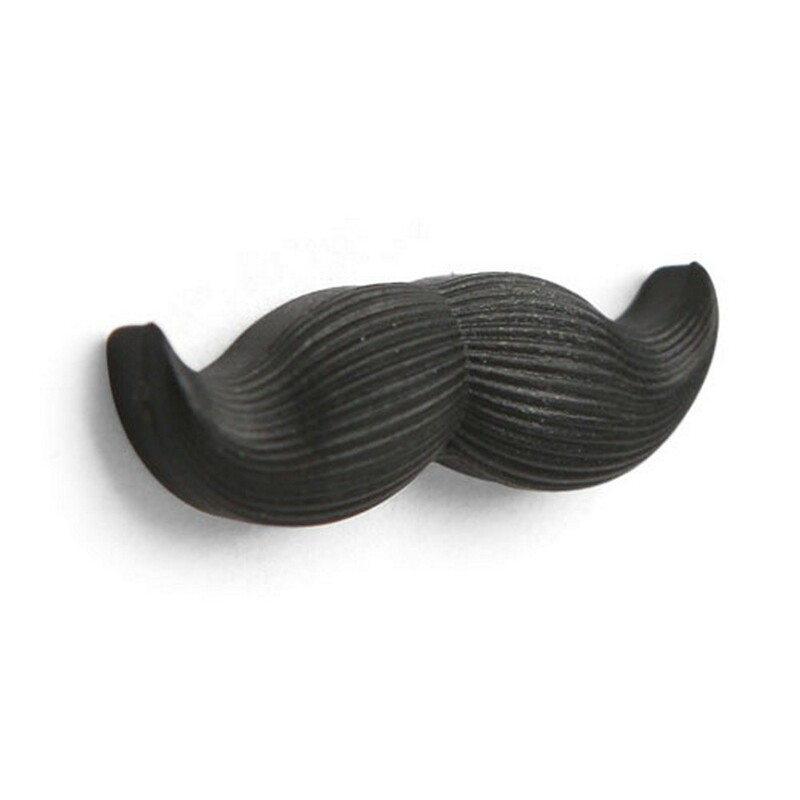 I absolutely love this hair clip. 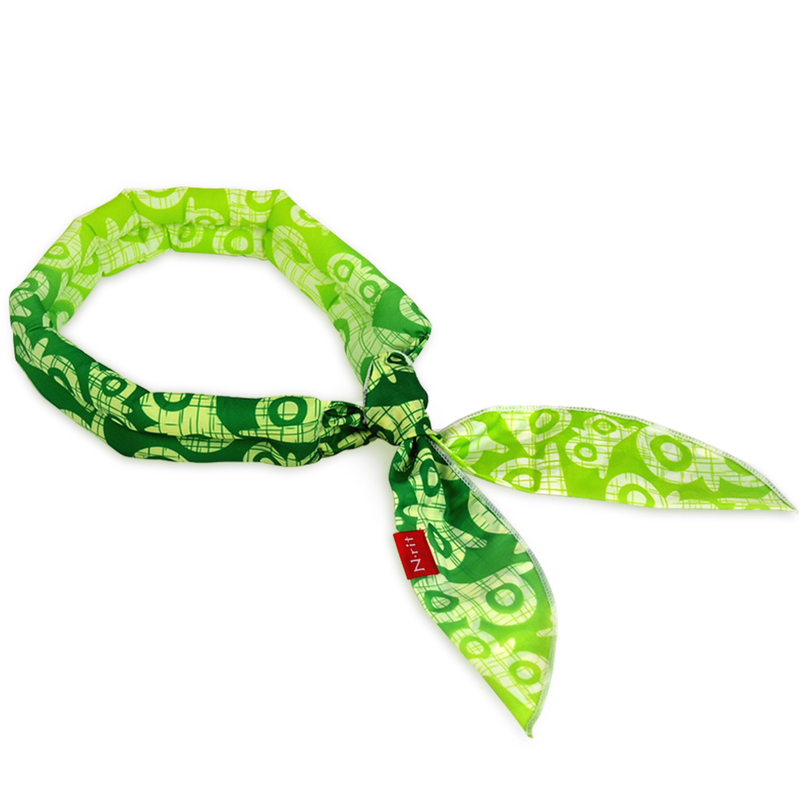 It comes in handy so oftem, I generally just wear the clip below my ponytail so it's easily available. With multi-functions tool! Bought one to check it out and I loved it! It holds my hair very well. I've used the bottle opener a couple of times and the serrated knife as well. Just bought another one! Great little gadget! What a clever little hair accessory! I find myself using it often. It's so fun to be able to pull this out of my hair to adjust something. Cute and adorable clip! This is a pretty cool concept. 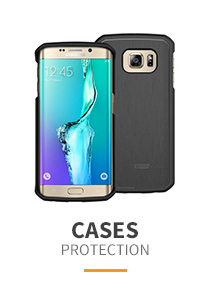 It has wearability as well as functionality. It holds my hair well, as a ruler, knife and a lot more. 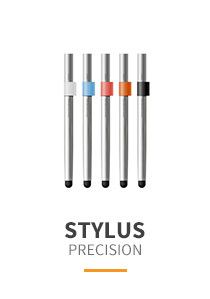 Great little gadget! Works great! 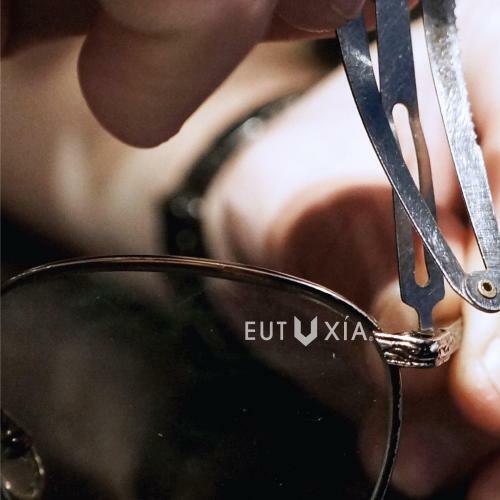 Small, Very useful and functional. 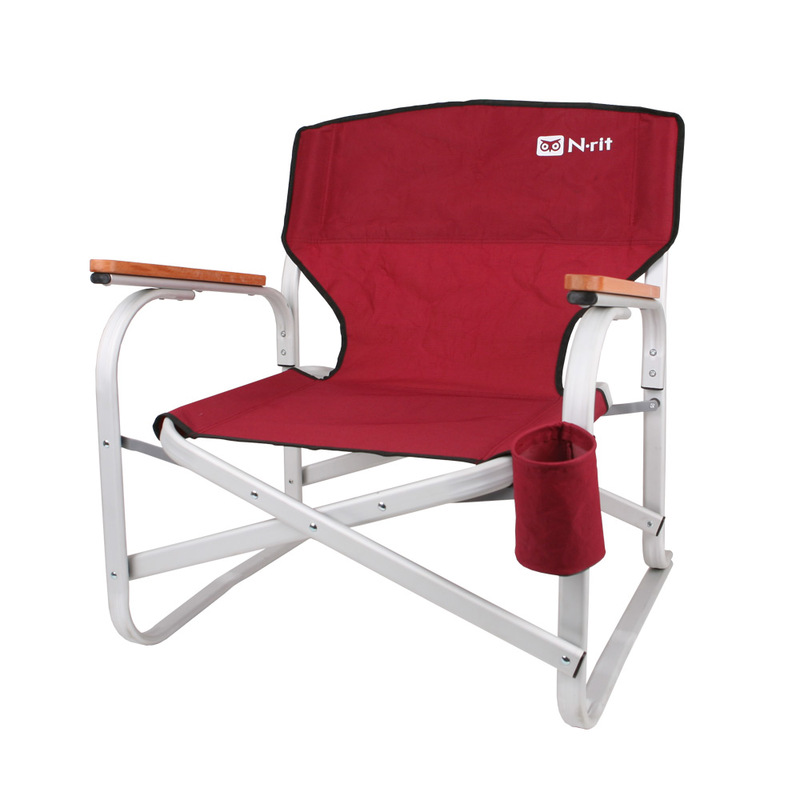 Great for camping, travel and more. Highly recommended. I was surprised about this clip. I was confident it would work as a hair accessory and doubted it would work as a tool. But It worked great! 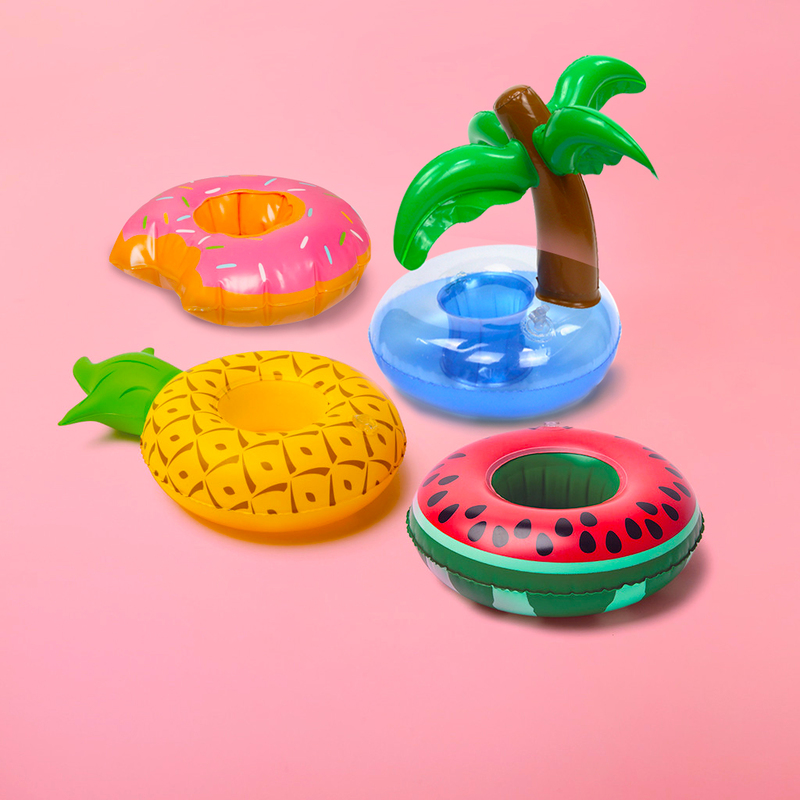 A cute yet very functional clip... 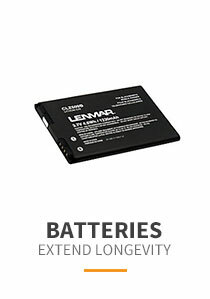 I definitely recommend this amazing product. Such a fun little tool! Such a fun little tool! 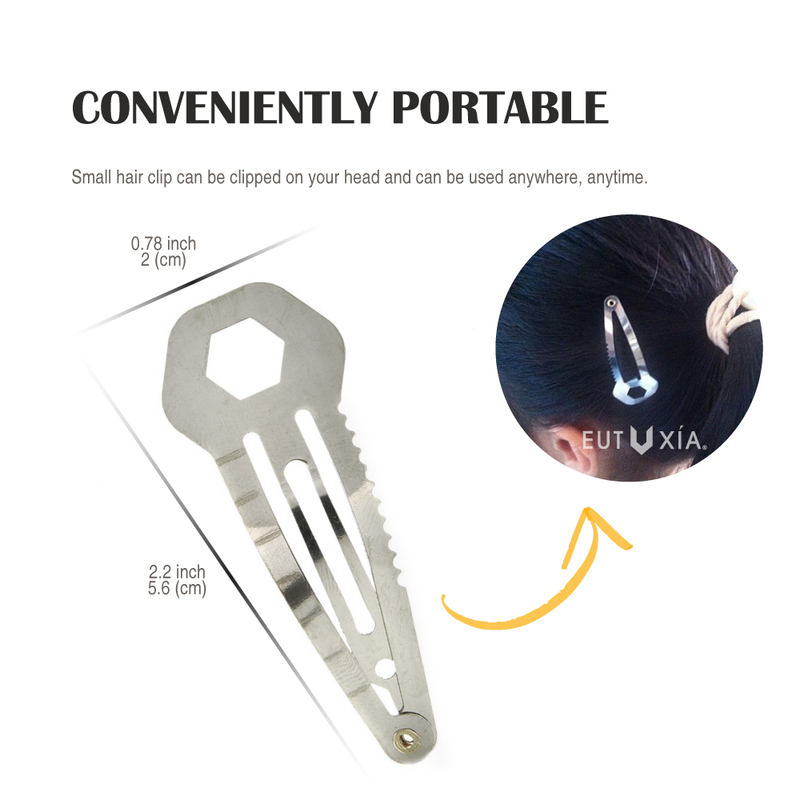 It's pretty handy, nice tool and can keep in your hair. 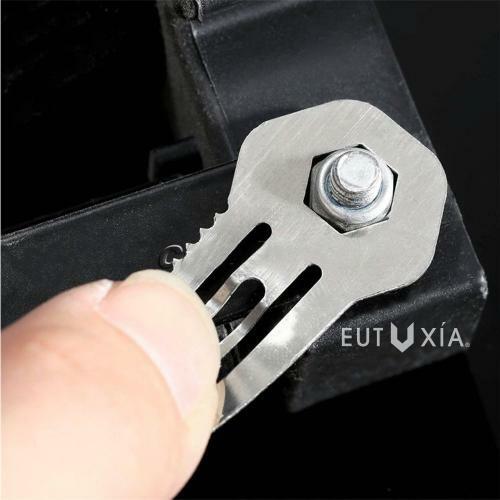 To be used in any major things, and I have already used the screwdriver feature to unscrew a battery cover and cutting tool and a lot more, it's definitely useful. The possibilities of being put in situation demanding you to "save yourself" of do something for yourself quickly as grown in our modern world. This very small and out of the way gadget will provide some forms of assistance for many surprise situations that you need that little bit extra. 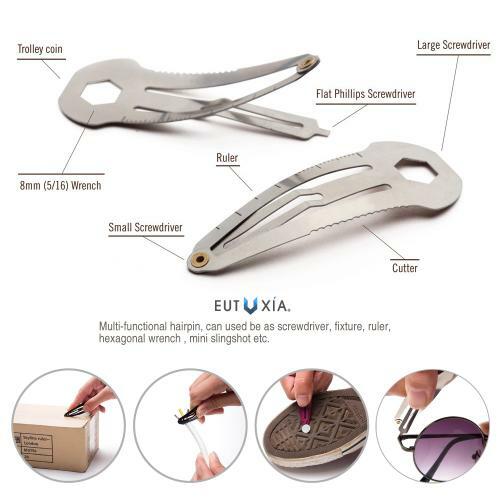 The eight things this spring steel hair clip can provide will be there any time and may give you that edge you need to successfully complete the task as hand. 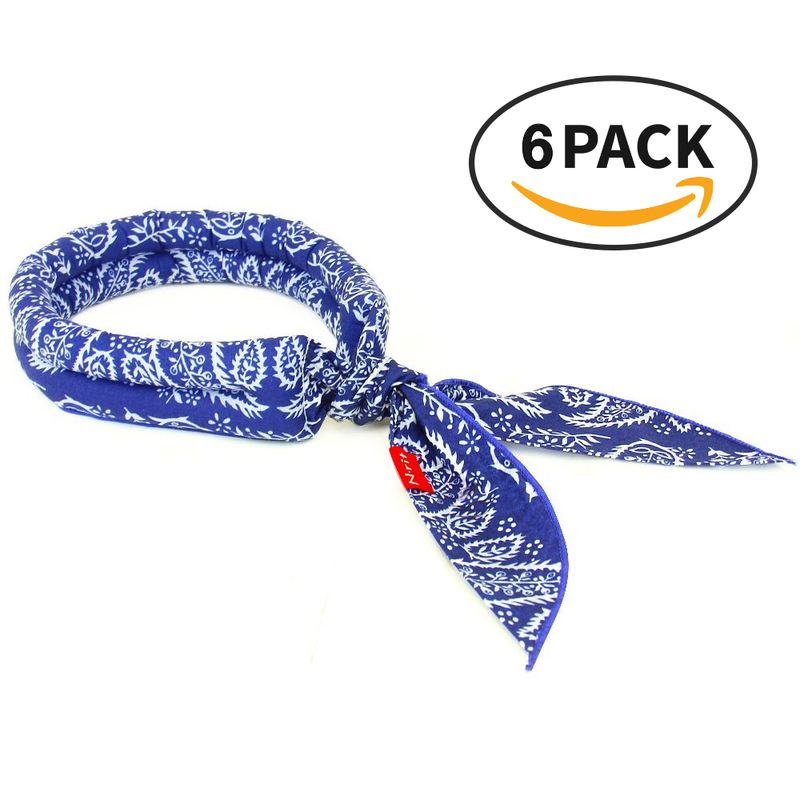 I bought a bunch of these for the Ladies I know who like to hike and camp. They tell me now that they will have oe of these with them all the time now. You're reviewing: Eutuxia Mini Multitool Hair Clip. 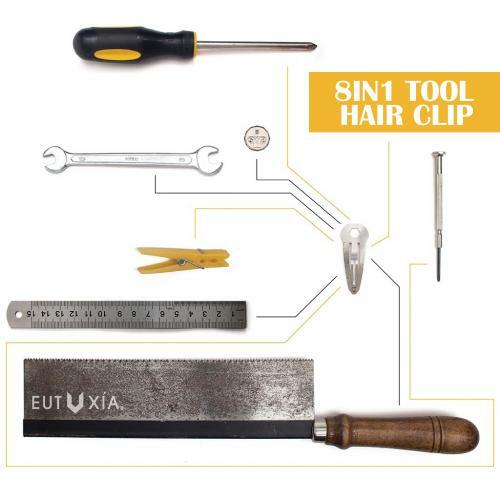 8-in-1 Multifunction Stainless Steel Everyday Carry Tool Works as Flat Head, Small, and Large Screwdriver, Ruler, Cutter, 8mm(5/16) Wrench, Trolley Coin, and Hairpin.